Your wedding day is one of the few days in your life that should entirely revolve around you. There are many traditions that people follow for their weddings, but these can often overshadow any little unique details of the wedding that make it personal to you. 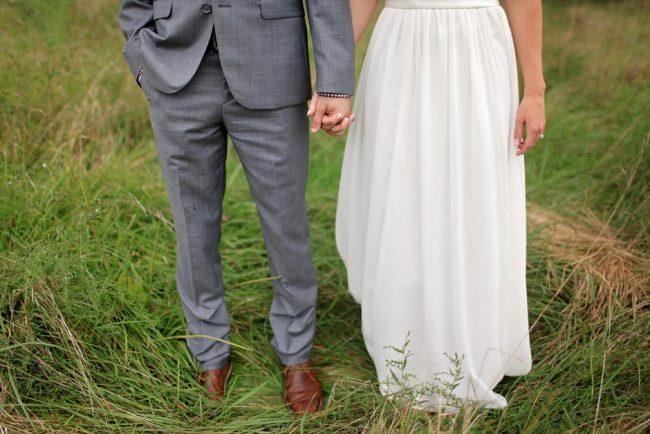 If you want your wedding to be unique and personal to you, then follow these steps. One way to make your wedding completely unique is to have a theme, after all, your theme is going to affect the entire day. Your theme could be anything from your favourite book, film, or tv show, to simply something that you enjoy. For example, I once went to a music festival themed wedding that was conducted in a marquee in a field, and where all of the guests wore wellies. Theoretically, your wedding could be conducted anywhere (as long as you can get the permits). If there is a venue or location that has some sentimental significance to either you or your fiancé, then you may want to consider having your wedding conducted there. If you spent a lot of time in Spain with your aunt as a child, for example, you might want to consider a destination wedding. Your wedding rings are an important part of your wedding day. After all, they symbolise the eternity that you and your partner are going to share together. If you can’t find a ring that you have fallen in love with, then you may want to consider purchasing some custom made rings instead. Your wedding ring isn’t just a piece of jewellery, you are going to wear it for the rest of your life, and this way you get to be involved in every step of its creation. 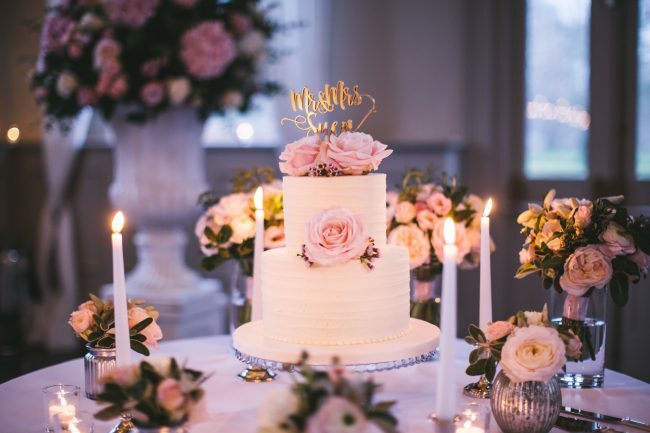 Although your wedding cake tends to be pretty personal anyway, given that it is likely to have your name written across it, there are ways to make it more unique to you. Instead of going for a traditional white wedding cake, have it in your favourite colour, whether this be bright orange or mud brown. If you don’t want it to clash, then it could match the colour scheme of the wedding of your wedding. If you want your wedding to be truly unique, then you do not want to arrive to your big day in one of the usual wedding car options. Even horse drawn carriages are overrated nowadays. Instead, opt for something completely unique. The bride from the festival wedding mentioned above arrived at the venue in a VW camper van, for example. Alternatively, you could go for a motorbike, a school bus, an old-fashioned police car, a red double-decker bus, or even a helicopter. Click here for more unique wedding transport ideas. 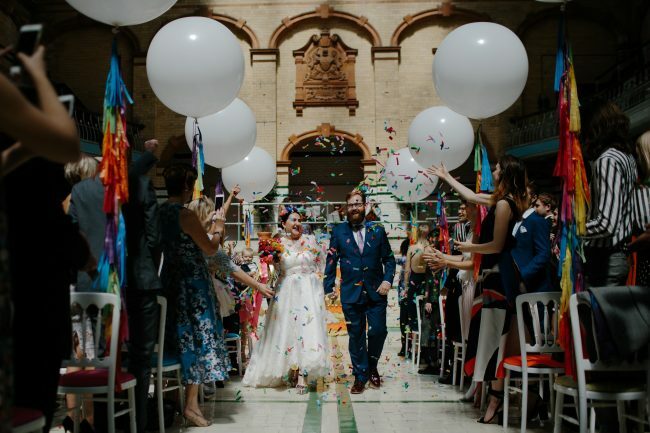 Although you may not want to turn into a nightmarish bridezilla, you have the right to have your day completely revolve around you, so why not try to make it as unique and personalised as possible? If you want your guests to know your big day isn’t going to be the same old boring event, you need to start with your wedding invitations. Take a look at these unique Paper Themes to see the sort of personalised wedding invitations that will help you announce your wedding in a way that’s unique to you. Or, you could even get crafty and make your own using photos of you and your other half or featuring pictures and words that are unique to each recipient. It’ll be a bit more work, but your wedding will sure stand out right from the off. Traditionally, weddings were held in churches or government buildings. Now, there is almost no limit to the kinds of places where you can tie the knot. Tree-houses, underwater hotels, Caribbean mansions, the options are endless, they will elevate your wedding above the rest. Even if you do want to get married in a church, you can still hold the reception in a unique location. Everyone has a DJ or live swing band at their wedding reception. If you want to ensure your wedding stands out, you need to do something different. Having a band and a DJ might be essential if you want to get your guests up having a good time, but try to include some unusual acts like jugglers, comedians, acrobats or even a petting zoo to make your reception more memorable. White might be the traditional wedding colour, but if there’s one thing that will make your wedding stand out, it’s ditching the white for a more interesting wedding dress. Pink, red, black – they all make a dramatic impact as you walk down the aisle, and if you’re stuck on white, you can just add little flashes of colour to make things more exciting and show off a bit more of your personality. Flowers are undoubtedly beautiful, and they set the scene perfectly for a wedding, but even the most unusual arrangements have been done for death. If you want your wedding to stand out, make your bouquet more exciting by using origami flowers, buttons, fabric or even dried flowers. It’ll look just as beautiful, and it will last a lot longer as a memento, too! Every wedding needs a cake, but that doesn’t mean that your cake has to be the traditional white fruit cake or marzipan. If you love doughnuts, create a tower of them, or if you’re more of a savoury person, create a tiered cheeseboard instead. It won’t be easily forgotten. What did you do to make your wedding stand out more? 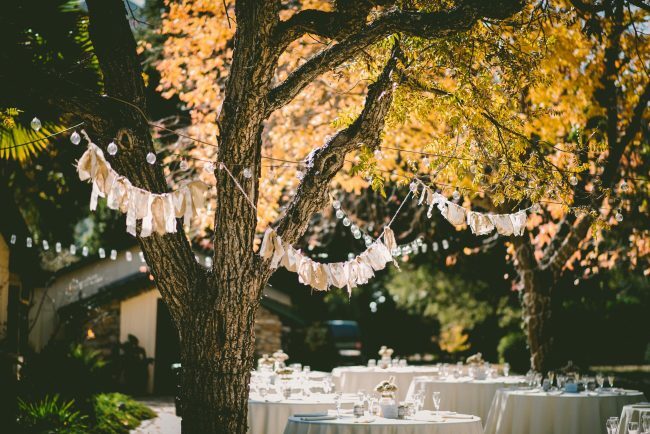 Do you have any other tips to make a wedding more unique? Themed weddings can be a lot of fun. If you and your groom are willing, you could turn your big day into an experience out of a book, or your favourite film. This an amazing way to incorporate the thing you love most into your big day. Done right, a fully immersive theme is sure to stick in everyone’s minds. But, a decision like this isn’t all plain sailing. In a lot of ways, you’ll have to let go of the ‘traditional’ wedding. And that’s not always an easy or popular choice. Stepping away from the crowd like this means you need to get everything right. You will, after all, be under extra scrutiny! To help you out, we’ve got a few pointers on how to make this work. 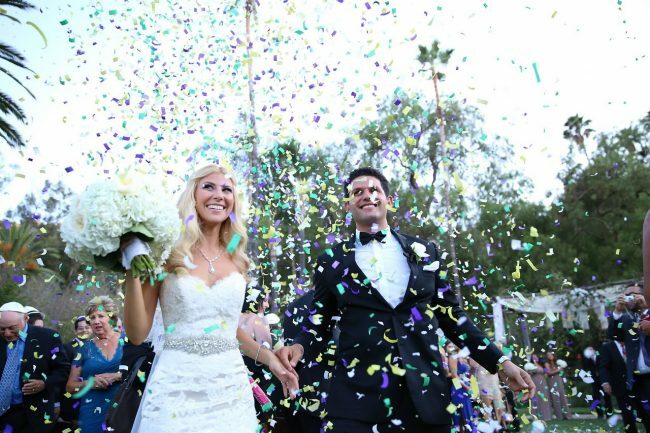 The first, and most important thing is to ensure that you and your groom are on the same page. The chances are you have quite a lot in common, hence why you want to spend the rest of your lives together. So, draw on those similarities to find something which means a lot to the both of you.This could be something you’ve loved since childhood, like Alice in Wonderland. Or, perhaps it’s a film you’ve come to cherish since knowing each other. Something like a Lord of the Rings theme, for example. In the deciding stages, it’s important you sit down and talk things through. Make sure that you’re both 100% happy with the decision. This day belongs to the both of you, so it’s crucial you get this right. If you’re going all out with a wedding theme, you need to go all out, and a dress code is a big part of that. This should apply to you and your groom, as well as your guests. 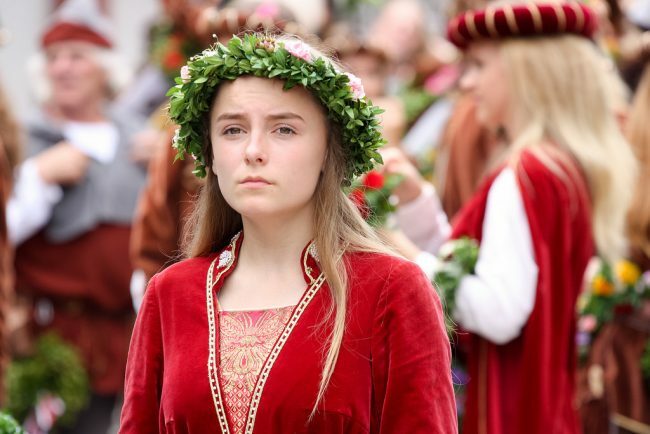 A traditional wedding outfit won’t look right if everything else is, say, medieval themed. If you’ve got your heart set on a white wedding dress, this can be a bitter pill to swallow. The good news is, a headdress and a few additions may be all it takes to transform your image. As for your guests, let them know about the dress code as soon as possible. Make sure, too, to include it on your invitations, so no one misses the news. To make this work, you need to give everyone time to find an outfit. In your announcement, be clear and concise about your theme to ensure everyone perfects their image. It may even be worth setting aside examples for those who don’t quite understand. This is especially important if you’re opting for a film theme. Those who haven’t seen the film in question won’t know what you’re after! A themed wedding also gives you the opportunity to include some fun additions. These will be unique to your wedding and may be the thing everyone remembers. So, go all out. Draw on your original inspiration to develop ideas. If you’re focusing on a historical period, find out what the entertainment would’ve been, and incorporate it. A set of stocks is sure to go down well, for example. You could even include games, such as croquet, which were played at the time. As everyone’s dressed for the occasion, you could even include a photo booth to capture the day. It may not fit with your theme exactly, but many companies offer backdrops and props which could work perfectly. Check out Booth Boys photo booths and others like them to get an idea of backdrops available. Even if you can’t find the perfect thing, it wouldn’t take long to make your own. You could still hire a booth but ask ahead of time if you can use your backdrop instead. To ensure the theme works as a whole, make sure everything is in keeping. That includes everything from your decorations, to the food you choose. You want to create an amazing experience which takes everyone to another world. If you’re attempting to create a fantasy world, serving up a roast wouldn’t quite cut it. Instead, you could serve up “Breast of Dragon.” Of course, your dragon breast would be chicken, but that’s not the point. The added touch on the menus will keep the magic alive. It’s also worth carrying the theme through to your reception. Attempt to find a playlist which fits, and have fun with a themed buffet. What theme would you choose for your wedding?